Like most of us here at the Urban Institute’s Metropolitan Housing and Communities Policy Center, I live close to the heart of a vibrant and rapidly changing city that often inspires our research. Unlike most of my colleagues, however, this city is not Washington, D.C. I live in Baltimore, and every morning at a quarter to six I join my fellow “supercommuters” on the long trip south to D.C.
hools, but because they had to change jobs and couldn’t sell their houses. Or because the family is trying to accommodate two workers with jobs in different cities. In fact, supercommuters are increasingly under 29 and over 55—the most vulnerable workers in the current job market. Under-29s and workers earning less than $40,000 a year are more represented among supercommuters than in the general workforce. These data reflect my own experience as a supercommuter. For the past eight years, I have cycled through a series of supercommuting routes, first as a Ph.D. student and then as a post-doc: Berkeley to Honolulu every two weeks (but that was hardly what I’d call hardship duty), Berkeley to Philadelphia every two weeks, Philadelphia to New York every week, and Baltimore to D.C. every day. 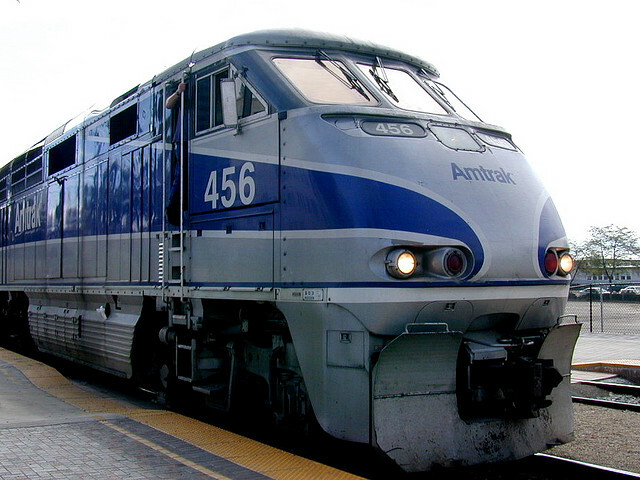 My transportation ranged from long-distance flying, to Amtrak, to regional bus—you name it. From my vantage point, Baltimore and D.C. are just a hop, skip, and a jump apart. And public transit makes it affordable—but not easy. While many who commute this route choose to drive (which no doubt contributes to our region’s perennial presence in Top Ten Worst Traffic lists), I use a combination of Baltimore city bus, MARC commuter train, DC Metro subway, Capital Bikeshare bicycle, driving, and walking—sometimes all in the same day. Commuting matters — for people’s economic well-being and happiness, local and metropolitan-area sustainability and resiliency, and the housing people choose as they enter young adulthood or old age. How does your commute affect your life?